I really love how this card turned out. I started with the 6"x6" Kraft Die-Cut Cards & Envelopes. 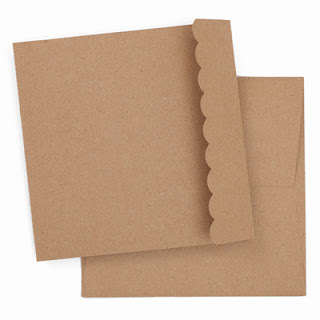 They are a set of 10 tri-fold cards with the scalloped edge already cut. 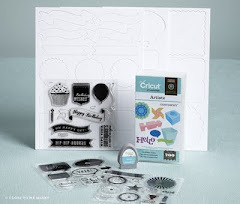 The sentiment was created using the Cricut Art Philosophy Collection. The shape was cut using my Cricut and stamped with one of the stamp sets included with the cartridge. 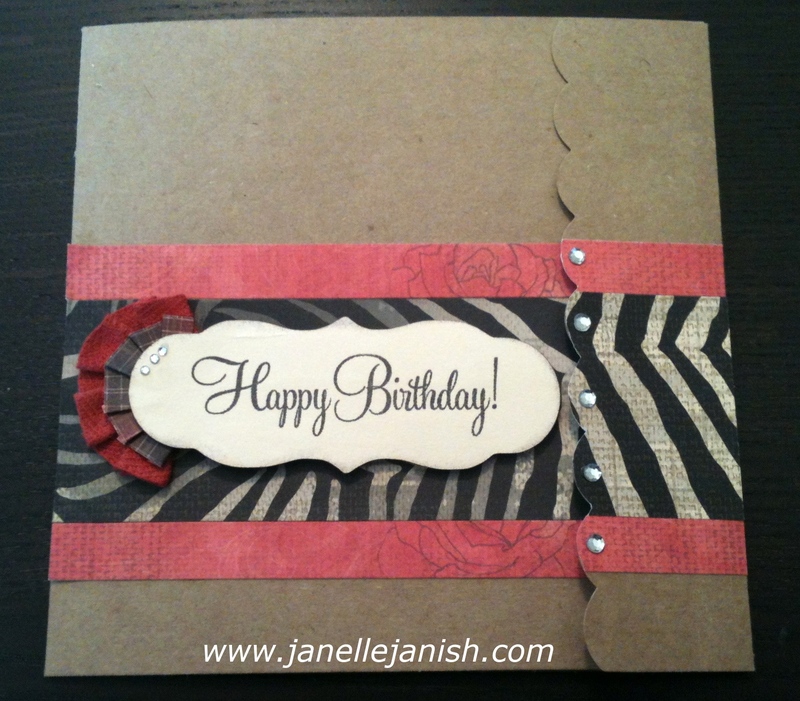 The zebra print and pink paper on the front of the card are from the Roxie paper kit. 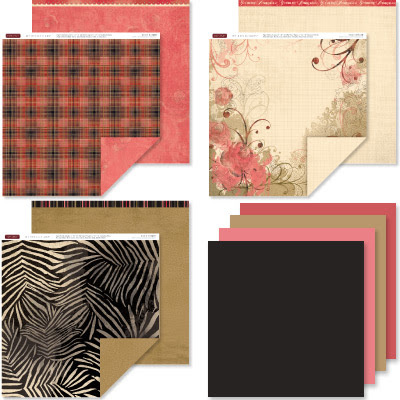 I love that zebra print paper! 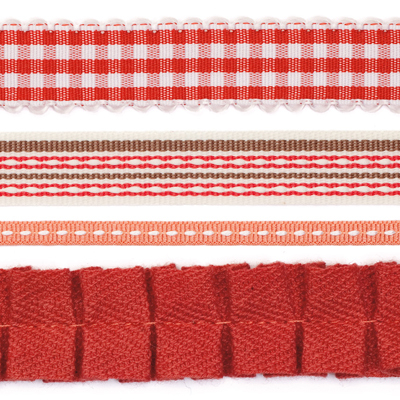 It's available in the current catalog/Idea Book, but will be gone after July 30. I created the embellishment on the side of the sentiment by folding a strip of the plaid paper and sticking it to the sentiment with glue dots. 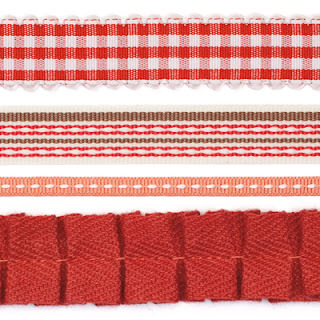 Then I took a bit of Cranberry twill folded ribbon from the Designer Ribbon Red Collection and adhered that to the back of the strip of folded plaid paper, also with glue dots. The sentiment itself is popped up with 3-D Foam Tape. Finally, I added three Bitty Sparkles to the sentiment and five medium-sized round Clear Sparkles to the front flap. Thanks for joining me today! Very Nice, love the details you provided. 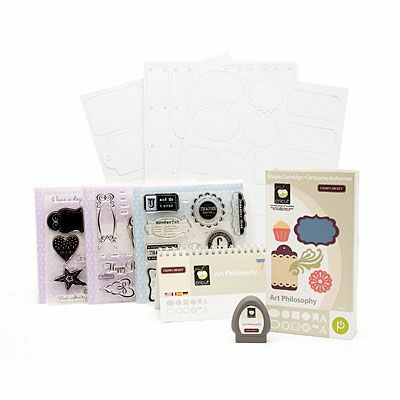 Super Deal for National Scrapbooking Month!